Fyn, the Danish island, is connected by bridges to Jutland and Zealand. It is in this area where Odense, the birthplace of famous Danish author Hans Christian Andersen is located. Unaware to some of you, Funen is home to Denmark’s most impressive palaces or slots as they call them in Danish. There are more than 100 castles and manor houses here and around 30 of them are open to the public. 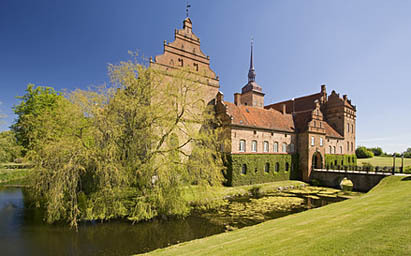 The Nyborg Slot is Denmark’s oldest castle built in 1200 during the medieval period. The Danish kings held their court in this place way back in the 1300s. This red brick structure was destroyed in the 1650s during the Sweden wars but was successfully restored after the First World War. The castle can be visited every day during the summer season and you can even watch concerts here featuring medieval and renaissance music. 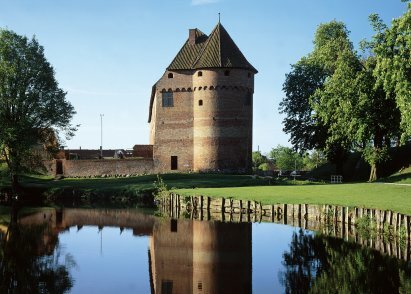 The Egeskov Castle is another old building in Funen’s Kvaerndrup. Built in 1554, this structure is one of the most well preserved castles in Denmark after the civil war that took place from 1533 to 1536. It features turrets, chimneys and spires as well as museums dedicated to aircrafts and automobiles. Also found here are beautiful gardens spanning 30 acres and together with the castle, they’re open daily from the months of June to September. 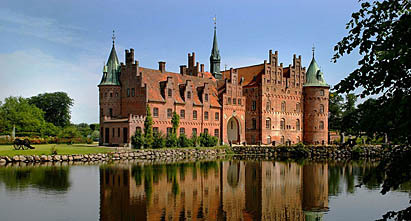 The Holckenhavn Slot situated at Torvet 9 in Nyborg is an example of Renaissance architecture. Built in 1579, this castle was opened to the general public only recently. Here, the interior rooms still display their original furniture while one of the best areas to visit within the complex is the Ellen Marsvins chapel. A guided tour is available and the ideals days to visit are Sundays in June, Tuesdays in July and Sundays in August.